Thread: Revolt Motors to launch electric motorcycle with an AI system, in June! Revolt Motors, led by Rahul Sharma, co-founder of Micromax, is all set to launch an electric motorcycle by as soon as June this year. They claim that this will be India’s first AI-enabled electric motorcycle. The motorcycle is said to be in the final stages of production. Styled as a sports commuter, special attention has been given to ensure that the motorcycle looks like conventional IC engine motorcycles. Revolt IntelliCorp, as the brand is officially known as, also claims that the motorcycle will offer a range of 150 Km of range on a single charge and will have an electronically limited top speed of 85 kmph. More details about the bike will be available closer to the launch date. About the price, it has been stated that they want to ensure 100% accessibility for the motorcycle for Indians and thus we can expect the motorcycle to be rather, ‘affordable’. Not a lot of information has been revealed about the said AI system but the motorcycle will be equipped with a 4G SIM card and will be connected to the internet, full time. Most of the components have been sourced locally. The ECU and battery management system has been developed in-house. Cells for the battery pack come from China, but are assembled in house. It has taken the brand 2 years to develop the bike during which the Revolt gathered veterans from the automotive industry. The assembly of the motorcycle will take place at Revolt’s new facility set up at Manesar, Gurgaon which, in its first phase, will have a production capacity of 1,20,000 units annually. The motorcycle will be sold through online and offline channels both but the emphasis will be online. With ideas like a whole ecosystem of gadgets and devices around this motorcycle not being ruled out, this motorcycle from Revolt is out to ruffle some feathers, quite like what Micromax did in the mobile phone industry. 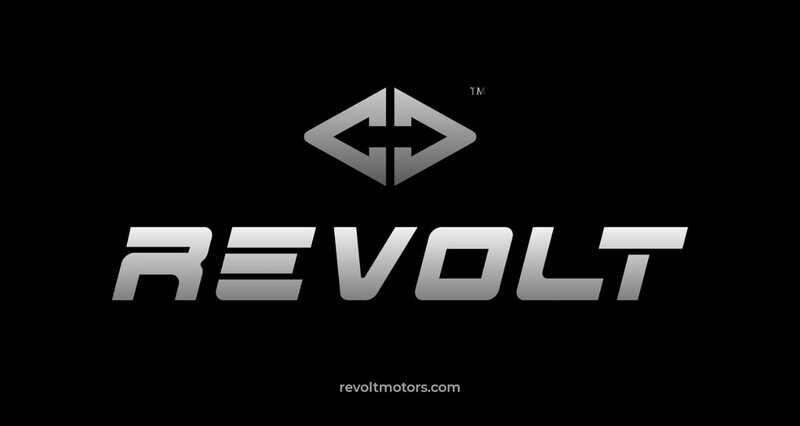 Re: Revolt Motors to launch electric motorcycle with an AI system, in June! Today's mobile phones have a lot of tracking enabled, by Google, Apple, Amazon, etc. I hope the 4G SIM is a choice and not a compulsion for running the vehicle. Because, at least few customers will not want a trackable vehicle, for whatever reason. That said, the overall industry is going in the right direction. Now, if only the Indian Lithium ion plant gets functional, I believe our typical Ather S340 might be priced closer to a Honda Activa with the former's benefits intact, then it should be an awesome scene for electric vehicles industry. I can feel it happening, at least for the common commuter. That tracking part was the first thought that came to our mind as well when we read about the said '4G SIM'. The reason is not really the point here. Vehicles can be traced by the Law Enforcement units when needed, but this can make it possible for anybody to do so considering they are willing to put in a little work. This is probably gonna be the proverbial double-edged sword because its hard to disagree on the fact that there are merits too along with the demerits. What does this AI do? Not much has been revealed till now, but on the basis of guesswork & past products, we can say that there could be riding modes, which adjust motor torque on the basis of our riding/ throttle habits... These might work like how Ather S340 does it, trading range for performance or vice versa (by reducing torque gradually, as you speed up). Further, there could be human assisting features like call/ message info on console (Bluetooth connected), Vehicle Firmware updates over the air, auto suggestion of service schedule/ requirement/ tyre change/ malfunction, etc. If the console actually has a version of Android running like a smartTV, then we may have parking lot features like video/ music playback, netflix/ youtube, apps/ games, etc. But for regulatory and safety reasons, it will be limited to Parking lot, i.e. these won't work when you're riding it. There might also be some sort of location sharing with friends or family or so, including theft protection. Also, turn by turn navigation features may be there. NOTE: All of the above is just guesswork/ assumptions based on other products, not info. Location tracking is possible, agreed, but there is also this "habits tracking". Google for example, might be able to know our throttling/ braking/ leaning habits... It will open an all new dimension of customer profiling in advertising. The weak riders among us, might get ads related to riding schools. The awesome riders might get racing schools/ trackdays ads. Yes, double edged sword it surely is, but most of us have somehow made peace with it, our mobiles, Windows 10 and all. Benefits are there, no doubt. Nokia's older OS'es (Symbian, MeeGO) proved that smart is possible without tracking, but not anymore. the motorcycle will be equipped with a 4G SIM card and will be connected to the internet, full time. Is there a large market for people complaining that their lives not being tracked and monitored and surveilled enough already and are demanding more? Or is this so people can surf the internet and check their Facebook feed while riding in traffic? I think ishaiki is referring to Micromax Mobile phones, although the person is just a co-founder and since this is a different company, there will be different personnel. Also, this person himself might've learned a lot of quality lessons. But yes, top leadership matters a lot. I guess, the only reason the company is doing it is to earn ads revenue, so that they can price their products cheaper. Suppose the product costs Rs. 1.1 lakhs, and Rs. 85k after tracking and ads, then half the India will say, why not? SmartTV's for example, are dirt cheap, just a 6% margin industry now.. All due to incoming revenues from ads after the sale is made.. Sketch of the motorcycle shared by Revolt Motors. United Motors’ Renegade Classic to be launched by JUNE. All times are GMT +6.5. The time now is 09:57 AM.